1. 3D WiFi Module is mainly composed of two parts: control board and Wi-Fi module. Thumb-size as it is, it is powerful enough to connect your 3D printer with Geeetech’s cloud server, making it a reality for you to control your device on EasyPrint 3D App. 2. 3D WiFi Module is ready to use right out of box. You just need to connect your printer to its USB port and finish simple configurations on EasyPrint 3D App. That’s all. Then you can start to control your printer wirelessly. 3. 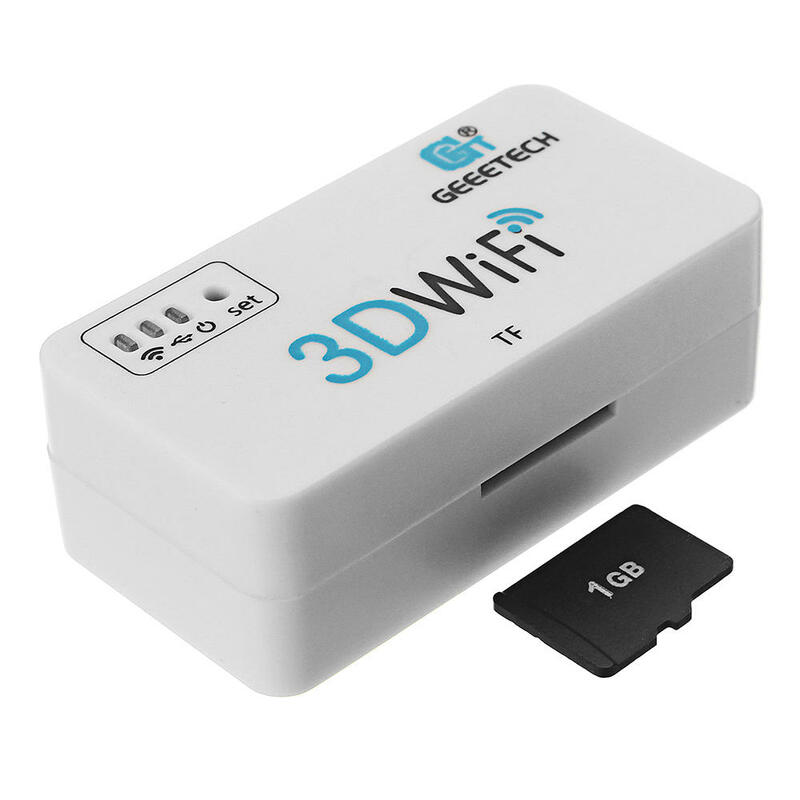 3D WiFi Module is cloud-based. Via EasyPrint 3D App, it is extremely simple and convenient to direct control over your printer anywhere and anytime. Besides, you would have access to a large cloud gallery, which covers 9 categories of 3D models for printing. What’s more exciting is that you could record and share your printing moments on EasyPrint 3D App in seconds. 4. 3D WiFi Module is broadly compatible with many different kinds of 3D printers on the market. As long as the USB to serial chip of your printer belongs to one of these three ones (CH340, FT232 and PL2303) and is controlled by G.code instructions, our 3D WiFi Module can upgrade your machine as Wi-Fi enabled and make it comparable to other prohibitively expensive Wi-Fi connected 3D printers. 5. Coded professionally and adopting high-performance chips, 3D WiFi Module could transmit model files and your commands to your printer in a stable and reliable way. Here is the User Manual for your reference.